Meet in the lobby of The Las Vegas Marriott, 325 Convention Center Dr, Las Vegas, NV at 6:00 AM for bus transfer to the Boulder Municipal Airport. A one-hour flight will bring you to the Bar 10 Ranch. Picture ID is required for all passengers 18 and older. A grab-and-go breakfast will be provided at the Marriott the morning of your flight. You maybook your 2019 Las Vegas Marriott reservation now.2020 Marriott reservations will be available in the fall of 2019. Upon the conclusion of your river expedition, a charter bus will return you to the Las Vegas Marriott. Return time is approximately 3:00 PM. NOTE: For those choosing to stay somewhere other than the Las Vegas Marriott, it is your responsibility to arrive at the designated time and place mentioned above. Western River has secured a certain quantity of rooms at special rates for our guests. Rooms and rates are only guaranteed up to 30 days prior to trip departure, and are then offered only if hotel space is still available. So it is wise to reserve online as a Western River guest. if you are unable to reserve using this link, call the toll free number 1-800-228-9290. 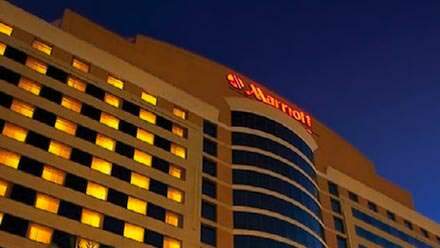 If still having problems you may contact the Marriott directly at: 1-702-650-6659 or Direct Email- lvmexpeditions@marriott.com. Be sure to mention the Western River Expeditions Block. The Las Vegas Marriott offers free parking for guests staying at their property. Parking is available for non-guests for $12 per car/per day. Baggage storage is available for $6 per bag/per day for guests staying at their property; $15 per bag/per day for those not staying at their property. NOTE: Marriott reservations for the 2020 season will be available in the fall of 2019. Guests will be sent a link to make online reservations at that time. A mid-stream transfer from lumbering raft to speeding jetboat will take place around mid-morning. 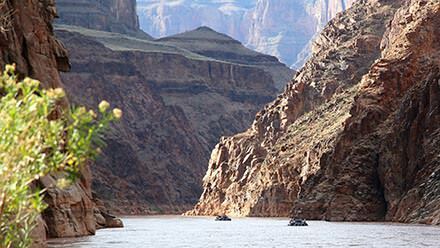 Once your jetboat arrives at the takeout ramp on Lake Mead, you'll grab a boxed lunch as you board a motor coach for Las Vegas. The return motor coach should arrive at the Marriott Hotel in Las Vegas by 3:00 PM on the last day of your trip. We highly recommend that you stay another night in Las Vegas. 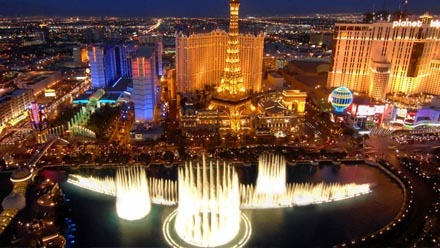 However, if you choose to fly out the same day your trip ends, make sure you book a late evening or night flight out of Las Vegas to ensure you have ample time to get to the airport. Taxi service is available from the Las Vegas Marriott to the airport. Assuming you are staying at the Las Vegas Marriott on Convention Center Drive, you can stroll next door to Piero's Italian Cuisine for a surprisingly pleasant dining experience. 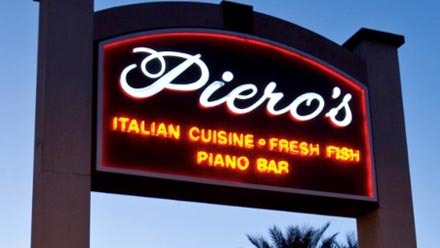 Unlike virtually everything else in Las Vegas, Piero's doesn't look like much from the outside. Why? Because this is the place where the local big names and celebs from Mick Jagger to Michael Jordan go to enjoy a nice meal, undisturbed. Go inside, eat the cuisine, you'll suddenly see why. Taxi: The concierge at the Marriott recommends a Taxi to The Strip rather than via the nearby Monorail. Walking: Walking around the Vegas Strip is epic, but note that city blocks are gargantuan and distances are very deceptive. Monorail: A short walk from the Marriott is the Convention Center Monorail Station that leads directly into the heart of the famous Las Vegas Strip. You will need to navigate through Bally's Casino before emerging into the open air on The Strip. On The Strip: A focal point for the best of the strip is probably somewhere near the famous dancing fountains that grace the front of the Bellagio. The Cosmopolitan, Caesar's, Paris, are nearby. Any Cirque du Soleil show is going to impress. The Bellagio "O" show is a consistent crowd pleaser. The "Wicked Spoon" is a top rated all-you-can-eat-Vegas-buffet, located in the Cosmopolitan. Options are endless... Plan your activities carefully if you're getting up early in the morning for the river!